Check out the statues on display from DC Collectibles at San Diego Comic-Con 2018. A new Star Wars – Forces of Destiny set has been revealed as a Toys R Us Exclusive. The set features Princess Leia and R2-D2 from Star Wars: Episode IV – A New Hope. 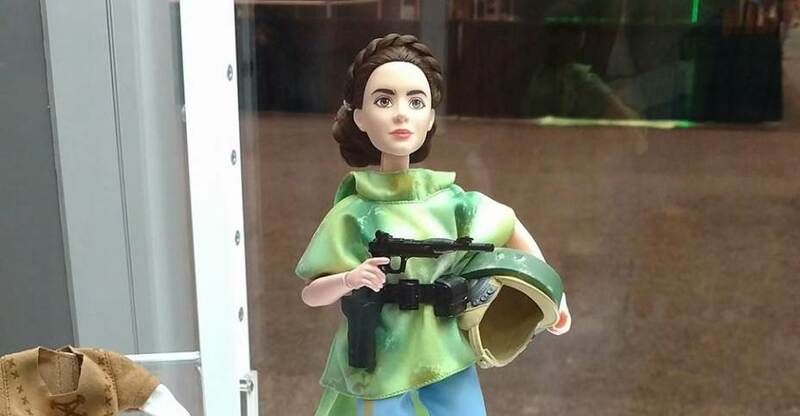 The Leia figure stands at 11″ tall and includes a fabric outfit, two blaster pistols and a figure stand. The set is priced at $49.99 with an estimated shipping date of December 6th, 2017. You can check out the product page Here. See more info below and the new images after the jump. 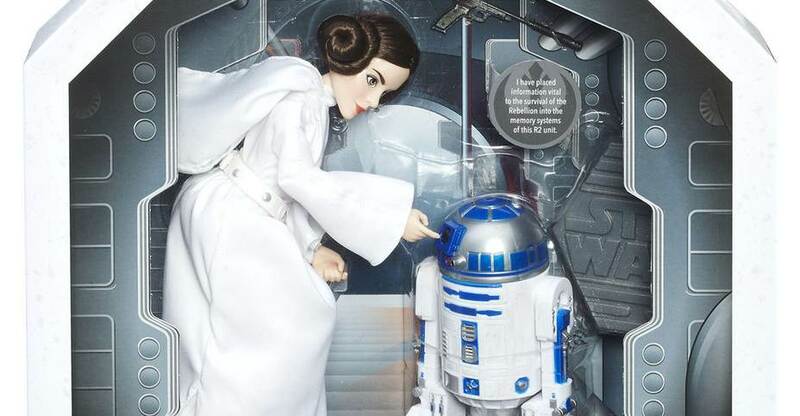 This Platinum Edition figure set recreates the iconic scene in which a desperate Princess Leia Organa hides the plans for the Death Star in the databanks of the loyal R2-D2, setting off a chain of events that will change the galaxy forever. The highly poseable Leia figure features beautiful, intricately styled rooted hair, as well as a gown showcasing exceptional detail and construction from the yoked waistline to the long, draped hood. Premium decoration adorns her removable belt and boots, as well as her R2-D2 companion figure. She comes with both her blaster rifle and blaster pistol, so she’s ready no matter what the Empire throws at her. Re-create the battles and stories of Star Wars with these true-to-entertainment companions. 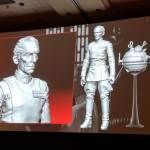 Hasbro held their action figure panel at Star Wars Celebration 2017 earlier this afternoon. We were not in attendance, but many were and shared on social media. Read on for a round up courtesy of @SirStevesGuide, @Flyguy, @swactionnews, @4LOMKUSS and @JediBusiness. Vintage Collection returns in 2018! — Vote for your choice! That’s it, thanks to everyone sharing out on social today! Case pics in a bit! Hasbro and Disney have dropped news late tonight regarding a new line of figures and a toon to match it, Star Wars Forces of Destiny. It seems to be a female hero focused set of stories from all eras of the Star Wars universe. 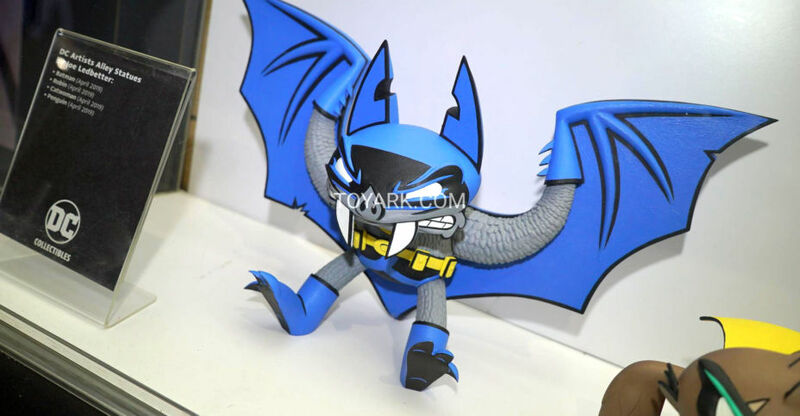 Hasbro will be producing stylized 11 inch figures to match the show. The toy line will launch on August 1. The line includes new 11-inch “Adventure Figures” depicting characters including Rey, Jyn Erso, Princess Leia, Sabine Wren, plus loveable sidekicks and epic villains like BB-8, Chewbacca and many more. These true to form Adventure Figures bridge the gap between traditional action figures and dolls, opening up a new play experience for Star Wars fans of all ages and genders. Each individually designed figure features dynamic action and multiple points of articulation to help recreate the characters’ adventures and heroic moments with different poses. Check out the video about the show below, and read on for the full press release and figure pics!